Despite walking the same path with different shoes, two former Section 3 football stars are guiding their NFL teams toward their ultimate goal: the Super Bowl. 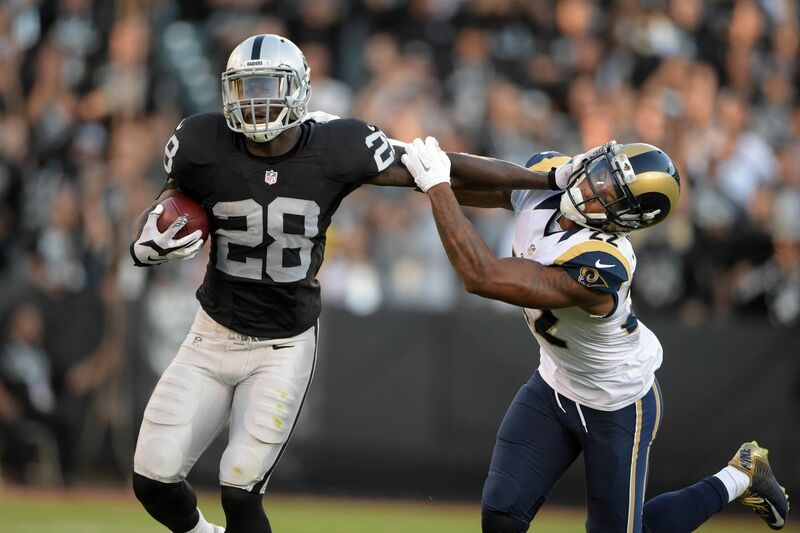 While Onondaga running back Latavius Murray & the Oakland Raiders clinched a playoff spot yesterday with a 19-16 win over the Chargers, Bishop Ludden wide receiver Wendall Williams & the Houston Texans are tied for the division in the AFC South at a record of 8-6 with just two games remaining. However, Williams’ path alone has been quite the story this season. RB Latavius Murray has the Raiders surging into the playoffs. After making a name for himself at the NFL regional combine in Minnesota where he posted an unofficial 4.19 forty yard dash, Williams was signed as a undrafted free agent by the Houston Texans on May 6th. Despite making a strong showing in training camp among teammates Deandre Hopkins, Will Fuller V, Braxton Miller, and Jaelen Strong, Houston elected to cut Williams for the final roster spot on September 3rd. The New York Jets, who were highly interested in Wendall after the combine, signed him to their practice squad on September 12th, only to release him 2 weeks later. However, Williams remained positive and continued his daily workouts. Suddenly on November 9th, he found himself back in familiar territory on the practice squad with the team that gave him the first shot at his dream, the Houston Texans. The Texans receiving corps had been bothered by injuries and Williams seemed like the perfect fit as he was already familiar with the offensive scheme of Bill O’Brien. On December 13th, Wendall Williams was promoted to the active roster. His dream was finally a reality but he knew he had to stay focused because this opportunity could slip away at any moment. A division showdown with the Jacksonville Jaguars on December 18th was his first shot of action. With the Texans trailing 13-5 in the 3rd quarter, Bill O’Brien turned to backup QB Tom Savage to replace the struggling Brock Osweiler. Savage’s 1st completion was a 32 yard post route to #82 Wendall Williams! Williams finished the game with 2 catches for 34 yards and Houston rallied for a 21-20 win. The Texans square off with the Bengals next week before heading on the road to Tennessee January 1 2017 for a game that should decide the AFC South. What a way to kick off the new year! Who knows, we might even see Murray vs Williams in the playoffs if the Raiders-Texans square off. #82 Wendall Williams (R) has been one of the most impressive rookies during minicamp so far according to Texans HC Bill O’Brien. He looks to be a key factor on Houston’s special teams unit as a KR/PR. When you look at the Houston Texans wide receivers you see a star in Deandre Hopkins followed by Will Fuller and Braxton Miller, both talented rookies taken in this years draft. What many people don’t see is an undrafted free agent lurking in the shadows waiting to prove more people wrong. His name is Wendall Williams, a small school prospect from University of the Cumberlands in Kentucky. Some may remember Williams after he posted an unofficial 4.19 40 yard dash at the regional combine in Minnesota. After graduating from Bishop Ludden High School in Syracuse, NY in 2008, Williams found himself at Morrisville State College due to his academics. Williams quoted himself as “being a knucklehead” and took full responsibility for his actions at the time following academic dismissal. At one point in his life Williams was driving a delivery truck. Though times got hard, the talented Williams never gave up as he soon became a track star at Herkimer Community College before transferring to his final destination, University of the Cumberlands, where he would play football again in 2014. Despite only touching the ball 104 times in 2 seasons, the speedy Williams still managed to score 20 touchdowns. In 2015, Williams put on a clinic winning the National Championship in track & field while competing in the long jump. Many teams expressed interest in Williams after the draft but the Houston Texans emerged as the first team to sign him. When asked about Williams’ performance so far at Texans camp many coaches have said, “His speed and athleticism, you can’t teach that kind of talent.” With fellow wide receiver Deandre Hopkins returning to practice after ending his holdout, Williams should continue to gain plenty of knowledge on the field as well as build more confidence as he looks to finalize his lifetime dream of playing in the NFL. Morrisville State once stood as a bottom of the barrel Division 3 College Football Program winning just 10 out of a total 70 games played over a 7 year span. At one point it seemed as if teams across the country would purposely schedule the Mustangs for their homecoming games almost as a guaranteed victory in front of their home crowd. However, the laughs only lasted until Curt Fitzpatrick took the head coaching reigns at Morrisville State entering the 2013 season. Morrisville State Head Coach Curt Fitzpatrick shows that football is more than just a game as shown here during Coach To Cure MD Week . Fitzpatrick was hired to replace longtime coach Terry Dow after the Mustangs finished the 2012 season with another 1-9 record. He had previously been serving as the Offensive Coordinator at Utica College, another Division 3 school located in Central New York. In his 1st season as Head Coach, Fitzpatrick & the Mustangs only finished with a overall record of 3-7. However, the highlight of that season might have been the fact that the Mustangs galloped over eventual NJAC Conference Champion Rowan 41-21 at Drake Field in Morrisville. Or maybe it was the dominating offensive performance surrounded by Fitzpatrick’s uptempo no-huddle offense that stood alone in the NJAC for rushing yards, passing yards, and points scored. The Mustangs also managed to break several school records that season and even finished 9th in the country for total offense. They also had four players named to the NJAC All-Conference 1st team including Quarterback Lemar Johnson, who was named Offensive Player of The Year. The program seemed to be going in the right direction but it was way too early to tell. Entering the 2014 season, the Mustangs were selected as the “Dark Horse” for the NJAC and a real underdog to win the conference title. However, if they wanted a legitimate chance they had to make it happen now or never as Quarterback Lemar Johnson was entering his senior campaign for the Mustangs as well as wide receiver Josh Powell plus an experienced offensive line that was soon departing. It also appeared they didn’t have much experience defensively which was a key issue as many people know that defense wins championships. Morrisville State opened up the season with a dominating performance over former junior college rival Alfred State 69-17. Next they would face Hartwick on the road, the same school that AFL standout Quarterback Jason Boltus attended. The Hawks shredded the Mustang defense early with their ground & pound run game and seemed to have the answer for Fitzpatrick’s offense after Lemar Johnson threw two interceptions that would both be returned for Hartwick touchdowns. However, the Mustangs managed to bounce back and defeat the Hawks 43-40 despite a late comeback attempt. The Mustangs now found themselves undefeated at 2-0 before traveling on the road to face St.Lawrence for their last non-conference game. After looking at the box score, it appeared to many that the Mustangs must have left their offense in Morrisville as the Saints rolled to a 31-14 victory, handing Morrisville State their first loss of the season. Fitzpatrick’s Mustangs couldn’t afford performances like this the rest of the season, especially entering conference play in the always tough NJAC. They hosted historical college football program Cortland State at home and defeated the Red Dragons 38-31, which sources confirmed was the first time in program history. The Mustangs would then go on to defeat The College of New Jersey 41-13. The following week dual-threat Quarterback Lemar Johnson made what would be a SportsCenter Top 10 Play at home vs Kean when he hurdled an opponent on 4th & 25 in the 4th quarter, tying the game at 31 before the Mustangs would go on to win 37-31. If you haven’t watched the play we recommend doing so as we swear we saw a flash of a young Michael Vick in there. We couldn’t imagine seeing this play live and listening to the reaction from the crowd! Morrisville State Quarterback Lemar Johnson threw for 2,510 yards & 23 TDS in 2014 and ran for a impressive 1,245 yards & 17 TDS to cap off his senior season. Suddenly, things would turn ugly for the Mustangs. Despite winning three straight, they would be shut out at heavily conference favorite Rowan 31-0. It appeared the Mustangs hopes for a conference championship as well as a playoff spot were slowly dwindling away unless they could find a way to win from here on out and maybe receive some help from other teams around the NJAC. They would bounce back to defeat new NJAC opponent Southern Virgina 47-23 on the road before dominating William Paterson 38-14 at home. The Mustangs now stood at 7-2 and a shot at the NJAC title if they could defeat nationally ranked Montclair State on the road, a challenge everybody knew would be difficult. Montclair possessed one of the best defenses in the country led by Cornerback CJ Conway, who later broke into New York Giants minicamp as well as hard hitting Safety Eric Gargulio. Their offense couldn’t be taken lightly either led by power running back Denzel Nieves & Fullback Tariq Turner. Red Hawk Quarterback Ryan Davies had also been having a bounce back season and looked poised for an aerial attack on the Mustang defense. Division3.com ran an article that whole week on Morrisville State’s sudden rise leading up to the big game as the Mustangs were starting to gain national attention due to Fitzpatrick’s coaching philosophy as well as his influence on the players in a program that was in such turmoil just a few seasons ago. Our guys here at Overlooked didn’t want to miss this one so we adventured out to New Jersey for what would be an exciting matchup. The Mustangs were on a mission this game and it was clear from the opening kickoff as they forced the Red Hawks to fumble on the return. You could tell Fitzpatrick and his coaching staff had a special game plan developed for this one as the Mustangs were absolutely dominate, cruising to a 38-20 victory over #23 ranked Montclair and most importantly a share of the NJAC title. There was no question this team was special especially after tracking their defensive performance throughout the season, an area where many people drew red flags due to the lack of experience. Fitzpatrick & the Mustangs finished 9-2 in 2014, capturing the NJAC title & winning the ECAC Bowl game in just his 2nd season at Morrisville State. Despite not getting a NCAA Playoff spot, Fitzpatrick & the Mustangs drew a familiar face in an ECAC North Bowl Game, the Utica Pioneers. As mentioned previously, Fitzpatrick was the Offensive Coordinator as well as the QB Coach alongside Utica Head Coach Blaise Faggiano before accepting the head coaching position at Morrisville State. Fitzpatrick & the Mustangs would win this battle with his former team in a high scoring affair 52-41 where Lemar Johnson would cap off his decorated college career with 5 Rushing Touchdowns. He would also capture NJAC Offensive Player of the Year for the 2nd consecutive season. Fitzpatrick was named NJAC Coach of The Year which seemed almost as a no brainer to many as the Mustangs finished 9-2, recording more wins that season compared to any years in the past. He was also named the East Region Coach of the Year.The Cinderella story of a season might’ve been one for the books but now the real challenge would lie ahead for Fitzpatrick’s Mustangs as they joined the Empire 8 Conference for the 2015 season. For those of you who aren’t aware, the Empire 8 is one of the top conferences in the entire country for Division 3 Football featuring powerhouse programs like St.John Fisher and Ithaca as well as newly joined member Cortland. Fitzpatrick’s previous experience coaching at Utica as well as his playing career at St.John Fisher where he stared at Quarterback for the Cardinals, allowed him to provide his players with the tools necessary to succeed at this tougher level of competition. However, he would be forced to do it without previously graduated Quarterback Lemar Johnson, wide receiver Josh Powell, and a dominate offensive line. Things certainly looked tough for the Mustangs as Fitzpatrick would turn to transfer Quarterback Cory Benedetto, who was once a standout star at powerhouse Aquinas High School in Rochester, NY. He hadn’t seen much action at all throughout his college career but maybe Morrisville would be the change of scenery he needed for a fresh start. Fitzpatrick must’ve really influenced the performance of the 6’1, 210 pound Benedetto. In his Morrisville debut against St.Lawrence, he would throw for 276 yards and 3 touchdowns in a 28-20 victory. Soon it appeared the offense was rallying around Benedetto as the QB hooked up with senior wide out Anthony Mella as they formed one of the top duos in the conference. Fitzpatrick’s Mustangs finished last season 6-4 and proved that they can compete with the best of them as they knocked off highly regarded opponents like Ithaca, Cortland, Buffalo State, and St.Lawrence. Fitzpatrick (L) & Benedetto (R) are ready to splash into the 2016 season. Entering the 2016 season, we can expect to see a breakout senior campaign from Quarterback Cory Benedetto. He seemed to really be finding his own last season throwing for 2,229 yards and 27 touchdowns. He should have more confidence under his belt this season and well when your head coach is Curt Fitzpatrick who has a long history of developing successful quarterbacks, chances are you are only going to get better. He’ll have to find a new favorite target though with the departure of Mella to graduation but after looking at last season’s stats we would expect to see guys like Marcus Jackson-Conner & Joseph Faniel make an impact in the receiving game. Senior TE Dennis Scherrer might be a factor as well or perhaps another target looking for a chance to breakthrough. The offensive line looks to be young so it should be interesting to see how they mold together to pass block for Benedetto and run block for whoever is the new face in the Mustang backfield for the departed Christian Pena. The defensive line looks to be very young as well but a linebacker corps like Wallace Stephens & Richardson Derosena should make opponents think twice about running or more importantly quarterbacks scrambling out of the pocket as the duo combined for 107 tackles last season. The biggest question we think though remains in the secondary with the departure of both safeties Caleb Wright & Shane Carroll. However there looks to be enough returners on the roster who could see action like Courtney Forrest, Tim Webber, Eddie Campos, Rah Boyd, or perhaps a talented incoming freshmen or transfer that Fitzpatrick & his staff have landed. We here at Overlooked are confident that Coach Curt Fitzpatrick is ready for whatever challenge lies ahead as the Mustangs are slated to kickoff September 2nd on the road at St.Lawrence. He’s currently 18-13 entering his fourth season as head coach of the Mustangs with a conference title & a bowl championship under his belt. Kids seem to be buying into the program at Morrisville State so whatever his secret to success is, it’s clearly working. After seeing this team perform two seasons ago in New Jersey, we can tell you one thing that they look more like a family than a football team. Fitzpatrick has clearly installed trust and respect into his players and the players appear to believe in everything he stands for. That alone might be the reason for their recent success as they continue to climb up the ladder in Division 3 Football. The Mustangs appear to have touched lives beyond football something that many of us can’t emphasis enough. For the last 52 years the city of Cleveland has been viewed as a joke in the sports world. Fans hadn’t seen a bit of championship gold since 1964 when the Cleveland Browns won a title two seasons prior to the first ever Super Bowl. It was the face of the franchise Quarterback Bernie Kosar and the Browns that nearly brought the city another title in the 1987 AFC Championship versus John Elway and the Denver Broncos. Cleveland Running back Earnest Byner ripped the hearts out of Browns fans after his fumble on the 1 yard line led Hall of Fame Quarterback Elway to creating the famous “Drive” in which he marched the Broncos on a 98 yard touchdown drive forcing the game into overtime where Denver would win and advance to the Super Bowl. Another championship opportunity came in 1997 when the Cleveland Indians advanced to the World Series versus the Florida Marlins. The Indians shocked Major League Baseball as they finished the regular season 86-75 after one of the slowest starts in franchise history. They clinched a playoff spot where they eliminated the defending World Series Champion New York Yankees in the ALDS and would knock out Cal Ripken Jr & the Baltimore Orioles in the ALCS to advance to the fall classic. Both teams forced a Game 7 due to the series being tied 3-3. Entering the ninth inning the Indians led the Marlins 2-1 and found themselves just three outs away from being World Series Champions. However, closer Jose Mesa couldn’t shut the door on the Marlins as they went on to tie the game before a rising star named Edgar Renteria would knock in the game winning run in the 11th inning to give the Marlins the World Series title. Cleveland’s NBA franchise the Cavaliers also found themselves struggling to get over the hump. In 1989 the Cavs drew a playoff matchup with Michael Jordan & the Chicago Bulls after finishing the regular season with a record of 57-25. In Game 5, the Cavs found themselves in a good position to win the series until the legendary Jordan hit his world-famous “Shot” at the buzzer to bounce the Cavs out of the playoffs and leave the city of Cleveland speechless and left out in the dark for another disappointing season. Through all the heartbreak and frustration though the City of Cleveland has blossomed in 2016, giving fans long overdue hope for the future. The Cavs finished the regular season 57-25 and gained home-court advantage in the NBA Playoffs. After sweeping the Pistons & the Hawks in the first 2 rounds, the Cavs defeated the Raptors 4-2 to win their third consecutive Eastern Conference Championship and advance to the NBA Finals for a matchup with the heavily favored Golden State Warriors. Despite trailing the series 3-1, the Cavaliers remained focused and poised for a dramatic comeback. They would capture Game 5 in Golden State with a 112-97 victory, forcing a Game 6 back in Cleveland. The Cavs would win Game 6 at home by a score of 115-101, forcing a crucial Game 7 at the Oracle in Golden State. With everything on the line and the constant pressure from the city to produce a championship, the Cavs did just that thanks to the play of unsung hero Kyrie Irving and another dominating performance from “The King” himself Lebron James. The Cavs won Game 7 93-89, giving the City of Cleveland its first championship since 1964. Lebron was named Finals MVP after posting 27 points, 11 rebounds, and 11 assists to finish with a triple-double. The championship parade throughout the city was remarkable. Fans had every reason to celebrate as did a shirtless J.R.Smith, who could be seen walking the streets and greeting fans still in his Game 7 shorts. ESPN had recently produced a 30 for 30 titled “Believeland” highlighting the collapse of Cleveland franchises. After experiencing plays like “The Fumble”,”The Drive”, “The Shot” and Renteria’s game winner, Lebron James has given Cleveland fans a happy ending by creating “The Block” in the final moments of Game 7 that the city will remember forever as the 30 for 30 features a new ending with the Cavs victory parade. The Cavs aren’t the only franchise though making noise in Cleveland. The Lake Erie Monsters of the AHL captured the Calder Cup after scoring a remarkable goal with 1.9 seconds left in Overtime to complete the sweep of the Hershey Bears and give the franchise their 1st Championship. UFC Fighter Stipe Miocic brought the Heavyweight Championship home to Cleveland. Currently the Cleveland Indians are riding a 13 game winning streak in which they could finish .500 the rest of the regular season and still finish with a record of 90-72. Currently the Indians find themselves at the top of the AL Central with a record of 48-30 and hold a 6 game lead over the defending World Series Champion Kansas City Royals. One of the most unique features of this Indians team is their talented pitching staff led by former Cy Young winner Corey Kluber. Cleveland has also gave veteran players like Mike Napoli and Juan Uribe a second chance to rejuvenate their playing careers and it’s clearly working. Let’s not forget about rising star Francisco Lindor who could capture the AL MVP. If manager Terry Francona can keep these Indians red-hot, don’t be surprised when the franchise brings another title home to Cleveland. Lastly, the Cleveland Browns. The Browns finally look to be heading in the right direction after eliminating problems like Johnny Manziel and Mike Pettine. New head coach Hue Jackson brings hope to Cleveland after the franchise had a successful NFL Draft in April. They selected star wide receiver Corey Coleman from Baylor as well as quarterback Cody Kessler from USC as well as other upgrades defensively. They elected to sign Robert Griffin III despite his injury plagued career thus far. However, Hue Jackson’s offense and a change of environment for RG3 could be exactly what the quarterback needs to continue his once promising career. The status of Josh Gordon remains unclear but should he play he gives the Browns a much needed offensive weapon.There’s nowhere to go but up for the Browns, who have had 24 different starting quarterbacks in the last 10 seasons.The franchise also hired Paul Depodesta in hopes of bringing the analytic skills he possessed working with the Oakland Athletics during their famous Moneyball era. The winning ways that are finally occurring in the City of Cleveland should give fans hope that FirstEnergy Stadium’s nickname “The Factory of Sadness” will soon be coming to an end as owner Jimmy Haslam and staff are determined to win entering the upcoming season. However, Browns fans know that there’s always next year……..
Former D3 Offensive Lineman Nathaniel Ryan eats, sleeps, and breathes football especially if he’s competing in an atmosphere that starts with the letter M. The former Morrisville State College Mustang is really making some noise out in the state of Montana. Ryan starts at Center for the Billings Wolves of the IFL, a team that is on the rise after clinching a playoff spot as they host the Nebraska Danger July 9th. Like many other athletes, Ryan’s path to the IFL has been nothing short of a rocky road. The journey for Ryan began back in 2010 following graduation from Port Richmond High School on Staten Island. Despite having a standout senior campaign for the Red Raiders, Ryan only received interest from a few colleges one of which was Morrisville State, a former JUCO powerhouse that had recently joined as an NCAA Division 3 school under Head Coach Terry Dow. Ryan committed to Morrisville State entering the Fall of 2010 as his older brother Brendan was already a member of the Mustangs football team which made him feel at home. Ryan found himself starting in all 10 games his freshmen season a year in which the Mustangs went 2-8. Despite being frustrated, Ryan continued to workout in the offseason and looked to help the Mustangs improve entering the 2011 season. The Mustangs woes continued that season as they finished 1-9 despite nearly upsetting nationally ranked Montclair State at homecoming and William Paterson on the road. Ryan was named to the NJAC Honorable Mention team after another solid performance that season. In 2012 the Mustangs finished 1-9 again as Ryan was named NJAC Honorable Mention for the 2nd consecutive season. However, things were about to change in Morrisville entering the 2013 season. Morrisville State began holding interviews for a new head coaching vacancy after Terry Dow was released from his contract. After searching and conducting several interviews, former St.John Fisher standout Quarterback and current Utica College Offensive Coordinator Curt Fitzpatrick emerged as the leading candidate and was hired immediately. Under Fitzpatrick, Ryan entered his senior campaign learning a much faster and more dynamic offensive scheme after being named a D3 Preseason All-American. That season, Nate Ryan helped anchor an offense that led the NJAC in multiple categories including rushing yards, passing yards, and points scored. The Mustangs managed to break several school records that season and even finished 9th in the country for total offense. Ryan was named 1st team All-NJAC, 2nd team East Region and recieved an invitation to compete in the D3 Classic as well as the D1-AA FCS Senior Scout Bowl. Following graduation from Morrisville State, Ryan was signed by the Green Bay Blizzard of the IFL. Just when it looked like the 6-2 320 pound lineman had found a home competeting at the next level in Wisconsin, the Blizzard elected to release Ryan despite starting in a few games. He wasn’t a free agent for long though as another team in the IFL the Billings Wolves discovered Ryan’s ability and signed him immediately. Ryan made an impact for the Wolves in 2015 despite the team finishing 5-9 but they did defeat Ryan’s former team the Blizzard, an accomplishment that the big fella most certainly enjoyed because after all revenge in sports is bittersweet.The Wolves invited him back for the 2016 season where he has been blocking for standout talents like Quarterback Cory Murphy and Running Back Cartel Brooks. Ryan and Murphy may have developed one of the strongest bonds in the IFL as the offensive line led by Ryan cleared several paths last weekend in a 63-27 win over Tri-Cities in which Murphy rushed for an impressive 6 Touchdowns despite only making his third career start. Minus competing in the playoffs/postseason in high school, this playoff matchup for Nate Ryan July 9th versus the Danger at Rimrock Arena appears to be much much larger than that especially after the offensive lineman missed out on his alumni Morrisville State finishing 9-2 to win the NJAC as well as a bowl game just a season after Ryan graduated. We wish Nate Ryan and the Billings Wolves the best of luck in the playoffs as well as the future. In the Coachella Valley of California lies one of the best kept secrets,The SoCal Coyotes. 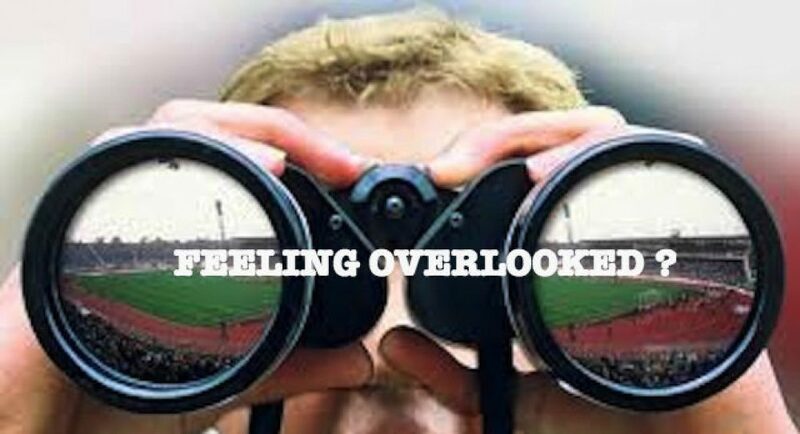 Like many here at Overlooked we were unaware of the franchise until they announced last month that they had signed highly regarded NFL Prospect and Division 3 All-American Dylan Peebles out of SUNY Cortland, a player we have been following throughout his college career. However, a player of Peebles’ caliber is just a piece of the puzzle for the Coyotes. So just who are the SoCal Coyotes? The Coyotes are a non-profit sports leadership organization in the form of a professional football team. Led by former two-time Super Bowl champion Broncos General Manager Ted Sundquist, the Coyotes were named the #1 Developmental Football Program in America in 2014. Football isn’t everything to the Coyotes though. Their slogan “Defend The Shield” is one of the strongest statements known throughout the Palm Springs and Coachella Valley region. It represents Faith,Family, and lastly Football. This organization is all about putting others first as players can be seen volunteering at schools, churches, charity events, local businesses, and other community programs. This organization works closely with the Palm Springs Boys & Girls Club and have provided leadership opportunities for more than 30,000 students. Other services the team provides are employment programs, coaching clinics, intramural football, and most importantly HOWL. HOWL is the Head of Household Work Leadership program that provides people with the proper skills and knowledge to sustain & balance family income. On the field, 70 players each year get to proudly represent a SoCal Coyotes uniform. Among the previously mentioned Peebles is one of the most forgot about prospects from this year’s NFL Draft, Kwame Bell. Bell was a standout Defensive End & Linebacker for small Division 2 school Clarion University in PA. Once thought of as a sure draft pick and listed as #3 prospect on some positional boards, Bell went undrafted and failed to receive further NFL interest. Listed at 6’3 265 pounds, it isn’t hard to see why the Coyotes signed this diamond in the rough. In his last 2 seasons at Clarion, Bell recorded 19 sacks, 31 tackles for loss, 110 solo tackles, and an impressive 10 forced fumbles. However, his efforts off the field make this prospect that much more impressive as he volunteered with the youth and was on staff for the college newspaper. So why are all these talented players coming to SoCal to play for the non-profit Coyotes? The answer is simply that they love the game, a mindset that many of us wish professional athletes took into consideration despite the millions of dollars that are involved. As of today, more than 300 former Coyotes have advanced to NFL, CFL, and AFL camps.